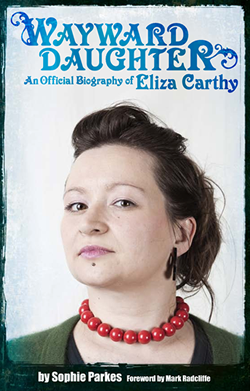 Wayward Daughter: An official biography of Eliza Carthy: Two new reviews - and a competition! Two new reviews - and a competition! It was for FiddleOn magazine that I first started writing about music, back when I was 15, so I'm delighted that the magazine has not only included a rather lovely review of Wayward Daughter in the latest issue (Issue 38, Summer/Autumn 2012) - but is also running a competition where readers can win a copy of the book. Head to the website or visit the magazine's Facebook page to buy your copy.